Lived during the Late Eocene Period. 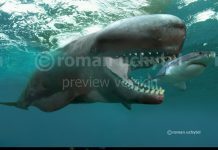 Judging just from Dorudon pictures, you might come to the conclusion that this animal was a dolphin – albeit, one with some very sharp teeth. 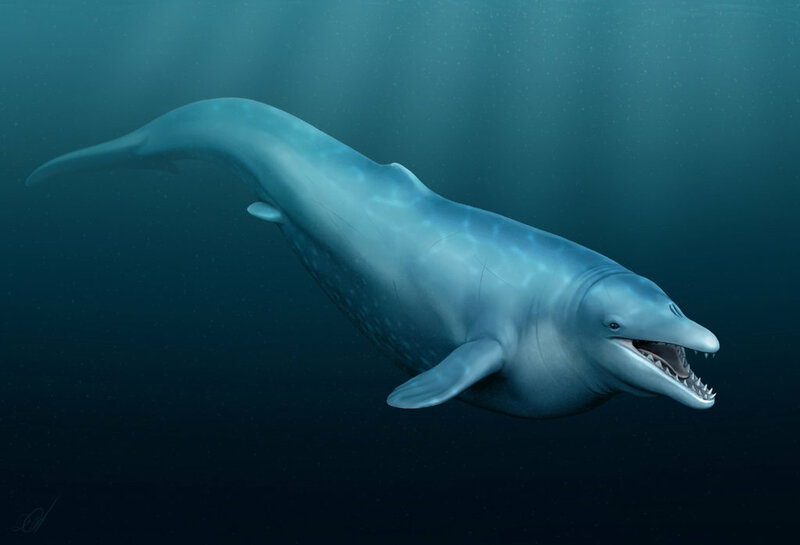 You might also think that it was a smaller version of Basilosaurus – another prehistoric whale. 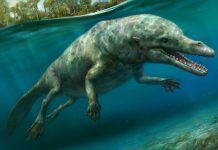 In fact, the resemblance is close enough that paleontologists once thought the fossils of Dorudon were actually fossils of Basilosaurus when they were younger. However, close examination of all the fossils proved this to be untrue. Dorudon was indeed its own species. These whales were about 16 feet long and weighed around 1,000 pounds – or half a ton. Which would have made it about 3 times as long as a Chinese alligator and twice as heavy as an American alligator. 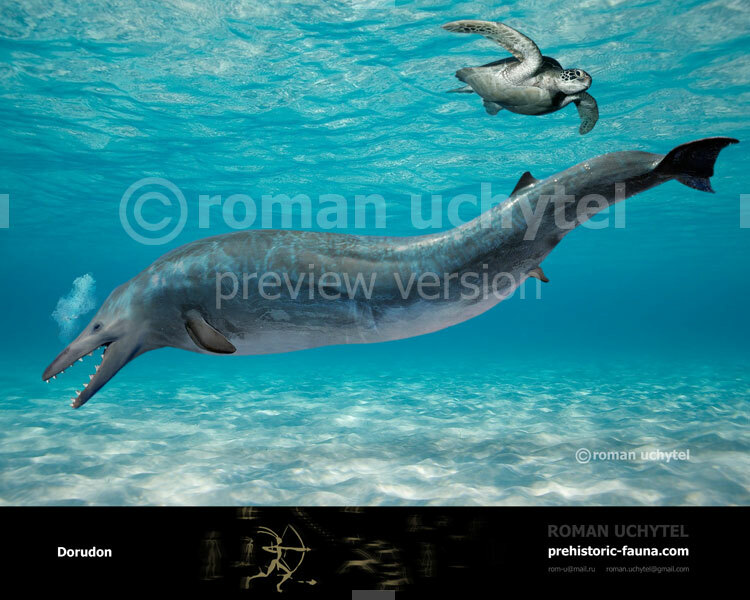 One of the most interesting facts about Dorudon is that it may have hunted and eaten the young of Basilosaurus. 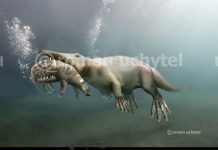 This has been proven by the fossils of juvenile Basilosaurus who just so happen to have Dorudon bite marks in them. And since Dorudon was carnivorous and a pretty good size, then it’s a good bet that it probably feasted on a variety of fish and mollusks. Another interesting fact about Dorudon is that it could echo-locate – which means that it couldn’t use sound waves to figure out where things are in the ocean like modern whales can. No, they lacked a mass of adipose tissue that would have allowed them to pick up sounds. This mass of tissue is usually called a “melon organ” or “melon” for short. 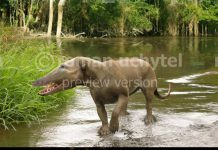 So far, fossils of Dorudon has been found in North America, Africa and the Pacific. 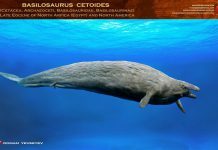 Which means that it’s probably pretty safe to say that these mammals lived in oceans all around the world.